READY NOW!!! The Plymouth features 1496 square feet of spacious living with 3 bedrooms, 2 bathrooms, a full unfinished basement, full front yard landscaping and a 3 car garage. Additional features include enlarged kitchen, wood floors, A/C, granite countertops, full tile backsplash, stainless steel appliances, 42 upper cabinets with crown molding & hardware, full tile in master bath and the list goes on. As about our $5000 Builders Incentive. 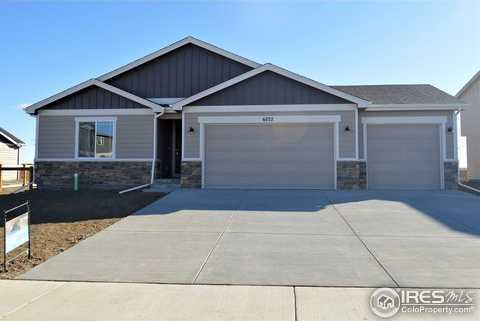 Please, send me more information on this property: MLS# 856241 – $379,125 – 6722 Sage Meadows Dr, Wellington, CO 80549. I would like to schedule a showing appointment for this property: MLS# 856241 – $379,125 – 6722 Sage Meadows Dr, Wellington, CO 80549.